Learning Edge is Edge Hill University’s ‘Virtual Learning Environment’ or VLE for short, and is an integral part of your teaching and learning whilst studying here. You may have used a VLE in your school or college or it could be the very first time you’ve ever used one, but rest assured Learning Edge is easy to pick up – just dive in a give it a go! To help you become acquainted with Learning Edge we have produced a short clip about what Learning Edge is all about and what you can expect to find in there. 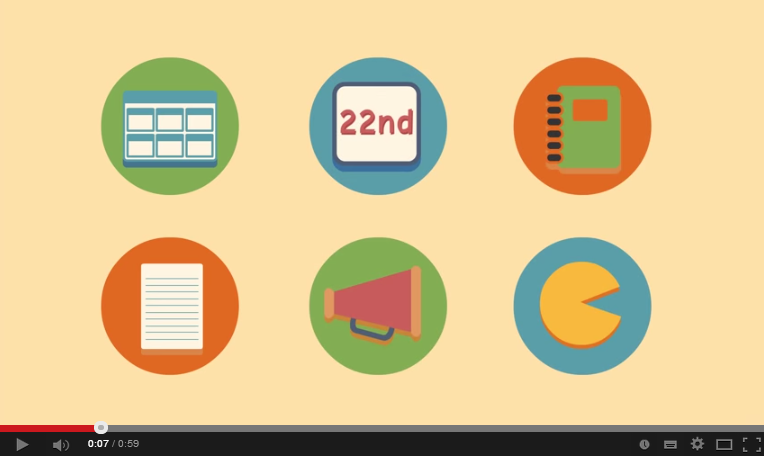 Click here to watch the Welcome to Learning Edge video on YouTube. The video can also be found on the ‘Home’ tab of Learning Edge for the first few weeks of the first semester. 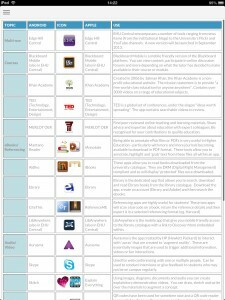 Following that, it will be found under ‘Help‘ in the top right hand corner of Learning Edge. Students studying on the April cohort of Pre-Reg Nursing and ODP (Operating Departmental Practice) are the first to have been offered both online part-registration and a dedicated new tab within Learning Edge. Since acquiring Community as a bolt-on to Learning Edge, there has been much work done around how to best use it for the benefit of both staff and students. So a project commenced in January to bring a new area within the Learning Edge environment that allows the students to have direct access to the subject-specific library resources that they will use most often including reading lists, frequently used databases and journal titles and also a Twitter feed and subject resources. 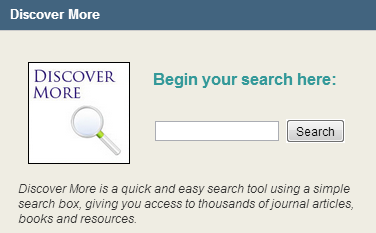 This tab has been called ‘Your FoHSC Resources‘. Having ready access to subject resources in a tab managed by our Academic Liaison Librarians will, we hope, help students to locate and use key resources for their course. It is our intention to extend subject-specific library resources tabs to all by September and to work with Faculties and Departments on developing their own tab and panels. Over the past few months, Learning Services and IT Services have been collaboratively working hard in launching a great new look for Learning Edge. We’ve been listening to our students about what you are looking for to make Learning Edge better than ever before and so today you will see some of these changes take effect! 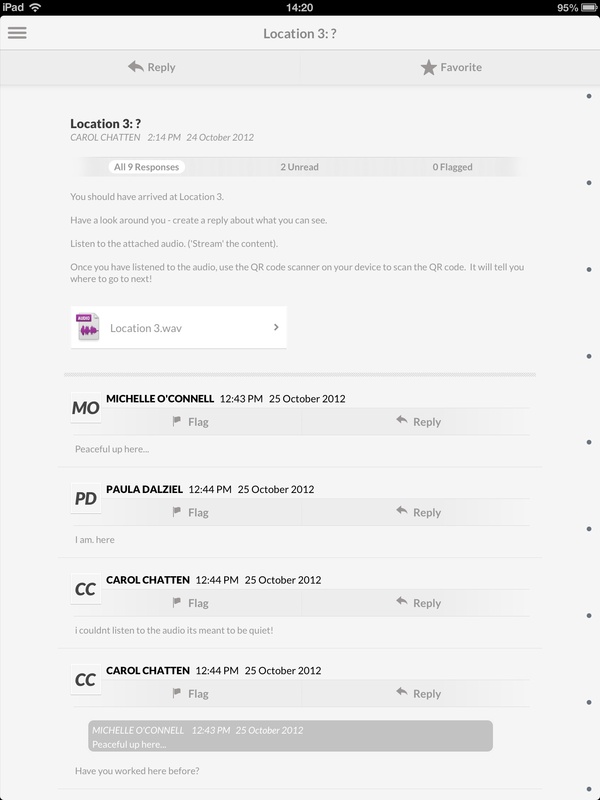 Firstly, we have one Click access to Learning Edge! 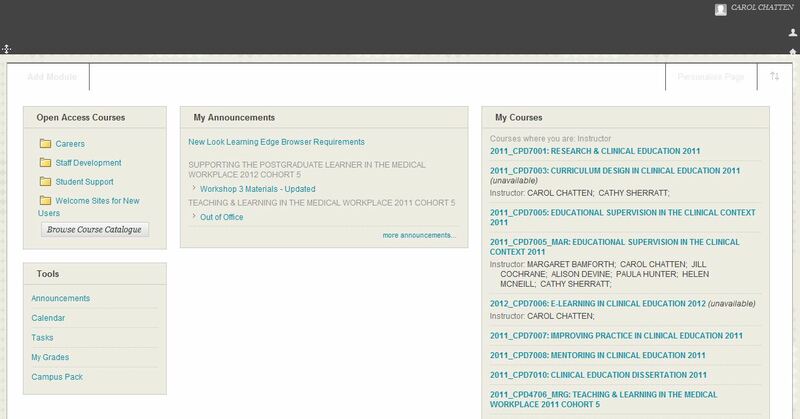 From the Go Portal you will be taken straight to your Learning Edge Homepage (Now called ‘Home’) where you can access your modules. You will also notice at this point a bright, new, colourful Learning Edge Homepage with lots of great resources and helpful links to make your experience the best ever yet! The areas have been organised into new tabs to help you get straight to the bits you need when you need them whilst the Go Portal links will follow you so you can get straight to your student email without having to return back to Go. Rather than you having to leave Blackboard to find help, we’re now bringing it to you in a suitably organised way, gathering our Twitter feeds, YouTube videos, Ask Us service and System Status information right to wherever you choose to study. Keep an eye out for particularly useful tools: Ask Us help service, Discover More library search and PC Availability amongst many others! The new clean, white interface has a number of new features to help you keep trap and organise your learning when using the app on your mobile or tablet. I’ll take you through the new tasty features and functions and leave it over to yourself to have a play! When opening the app you are greeted with a colourful new screen – no longer the dark black scheme as before. You can simply search for your ‘school’ (or university – make sure you type in ‘Edge Hill’ remembering the space between ‘Edge’ and ‘Hill’) and then enter your usual network details. You are then taken to the new-look menu which holds your modules and programme areas. There are a few new features here already that you can play with to change the colour for the title of the module or programme area, re-order it in the menu or simply show or hide it and no more having to ‘star’ your most used modules – just hide the ones you don’t want! 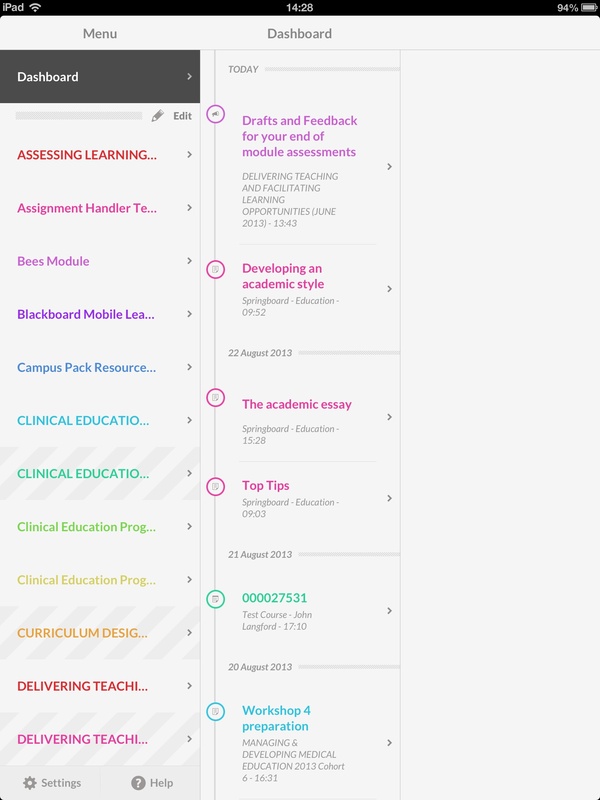 The new ‘Dashboard’ feature collates updates from any of your courses for quick easy access to new content added by your tutors or other students. You’ll also notice that this intro screen will inform you with a number, of how many updates are waiting for you so you can keep right up to date with any on-goings in your courses (currently Android only feature). Clicking on a link through to a module (or programme area), the familiar course menu is available, again with a clean white interface and matching icons. Content is much easier to access, especially if in a PDF, HTML5 or web-link format – it is far more obvious than it was before with an accompanying colourful icon to signify the link itself. Even content in older HTML format will work and you will be given a little preview of images before you choose to click the link to open it in a browser. And for tutors, any elements that are hidden from students – from entire module areas to tools and content, will have grey hatching underneath the link to indicate this fact. Great for checking quickly that you’ve released that vital bit of content. 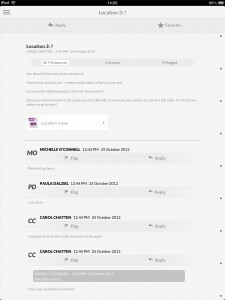 Discussion forums are now more easy than ever to view and interact with. The whole post is displayed rather than just the first sentence. You can also ‘favourite’ discussion forums or individual threads so you can follow more easily later as the discussion progresses. Any unread messages are also clearly indicated as well as any you may have ‘flagged’. Replies are kept ‘inline’ so you can see what a fellow student has posted in response and all other messages are available by simply scrolling down the page – no more expanding and contracting the messages to see the conversation! And replying itself is also easier – just click the ‘Reply’ button at the top of the message you wish to respond to no more having to use that menu button! 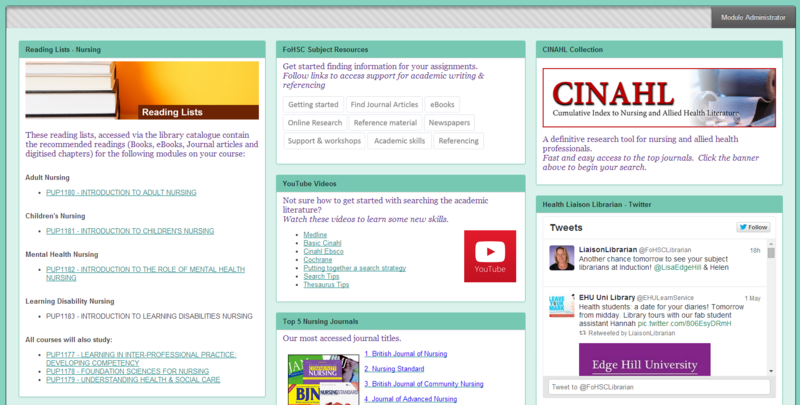 Journals and Blogs are similar to Discussion Forums – clean, clear and quick to use, read and respond. Learning Modules, Announcements, Mobile Quizes and Tasks have all been updated in the new clean style too. We are still awaiting some tools to be made more mobile friendly (such as Calendar, Email, Messages and Surveys) but hopefully we will see this with future versions of this fantastic and free app for our students! Later this year Apple iOS users will be able to download iOS7 which will again help the usability of the Blackboard Mobile Learn on your devices. The iOS7 update includes a new system wide user interface and can handle Microsoft Office files and HTML5 content in a much more user friendly manner. With all the tweaks and features, Apple devices will be able to make use of the full screen browsing tool within Mobile Learn to access attachments and links within your module areas, which will also improve navigation for all users. 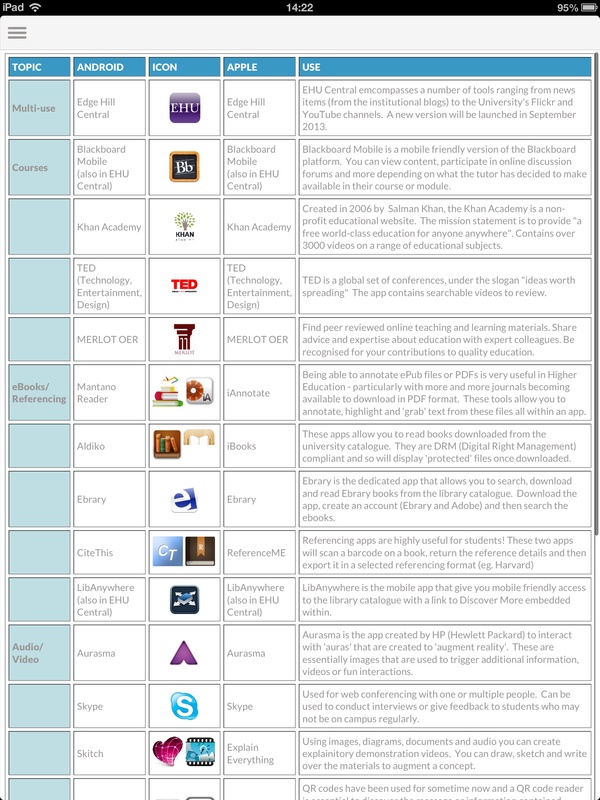 If you wish to learn more about the potential of Blackboard Mobile Learn in your teaching or learning, contact the Learning Technology Development Team or your LTD Officer. Tuesday 30th April sees the return of the Technology Roadshow! After the success of the last event held in the University Library, we are to bring the road show to the Faculty of Health and Social Care to tie in with the Faculty enrollment and induction day for the newest cohorts, but all current students and staff are welcome to come and ask any burning questions you may have about your devices, gadgets or gizmos. We would be delighted to talk to you about technology; let us demystify some of the things you’ve heard about but don’t know how to use, and let us help you get started using technologies maybe you haven’t heard of yet! connect to wi-fi on campus? Tell us what you want to know about Learning Edge, Campus Pack, Mobile Learn, the PC Availability Finder, Library Anywhere, Ebrary, Collaborate and anything else you want to know about technology to support your learning. Come along to the Faculty of Health and Social Care; we will be located in the foyer between 11am and 2pm. If you’re not on campus on the day to speak to us in person, we have got that covered too! You can contact us during the event (and beyond) via our social media channels: Facebook and Twitter. We’ll be using #EHUmobileclinic so if you have something to say or a question to ask about using technologies for your studies please get in touch. 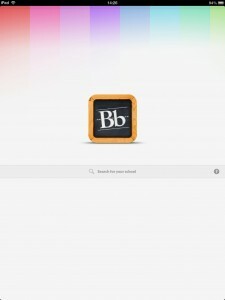 It seems that iOS users have recently been experiencing a few issues with their Blackboard Mobile app. Good news! A number of ‘bugs’ have now been fixed and the new version is available to download via the iTunes Store. You may have already installed the update, but just in case, you’re looking to have version 3.1.4 installed. Performance and reliability improvements to accessing, managing, and uploading files to and from linked Dropbox accounts. Enlarged the size of iPad Mobile Learn’s Audio Player window to prevent playback controls from being partially obscured on both Portrait and Landscape orientations. Improved file size listing to use KB, MB, and GB file size labels when displaying content greater than 100KB in size. There are many other minor fixes but we felt the ones above are the ones that will make the most difference to the user. 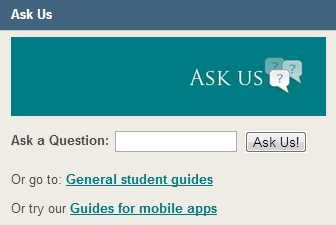 If you ever experience any issues with Blackboard Mobile, please let Learning Technology know by dropping us an email on ltdsupport@edgehill.ac.uk outlining the details of the problem. We’ll be able to take them forward to the Blackboard Mobile development team and hopefully you’ll see your suggestion or issue fixed in a future release. Edge Hill has its very own Mobile App! 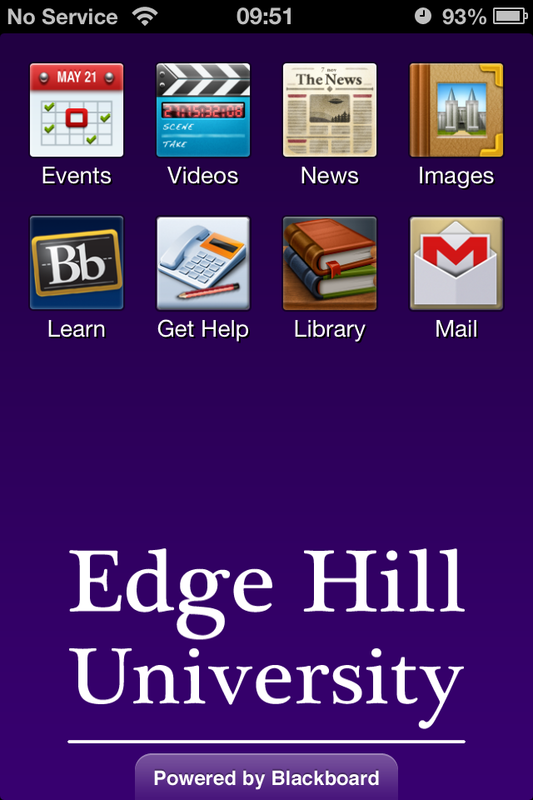 After some careful time in development the very first dedicated Edge Hill University app is now available on Android as well as iOS! Available via free download from the Apple Apps or Google Play stores, the new app brings together useful and interesting features, functions and fun – from Flickr and YouTube to Blackboard Mobile and a Mobile (friendly) library catalogue. Events lets you browse what’s coming up on campus – including the Arts Centre, Open Days, Sports events plus much more. Change the view so you can see what’s coming up over the next few days or browse month by month. Videos lets you view all of Edge Hill University’s videos available on YouTube. Show your friends and family on your mobile exactly what goes on at Edge Hill! News keeps you up to date with departments’ latest updates and developments – choose from most recent or browse for a particular subject or department. Images allows you to browse through our Flickr gallery – everything from open days to celebrity visits. Even if you couldn’t make it, don’t miss out on seeing what happened! 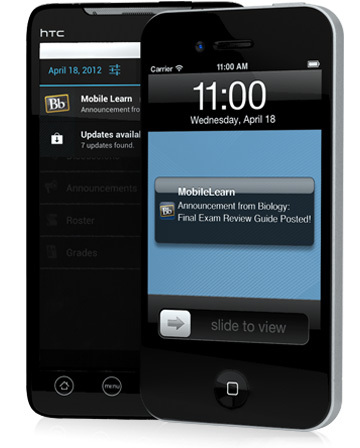 Blackboard Mobile Learn is our brilliant app for accessing your module or programme info via your mobile. You can receive updates, announcements, post on discussion forums – plus much, much more! Make studying easy, and take it with you wherever you go! Mail allows you to log in to your student email account. Most students are now on GMail, so you can access your mobile friendly version of your email, direct from your smart device! The partnership between Learning Technology, IT Services and Blackboard has enabled us to bring you this app, but remember – this is only the first step! We are looking for some innovative ideas on how it can be improved as we have already started work on the next version! So please, leave comments here on what you would like to see included, updated or improved – we would love to hear from you! 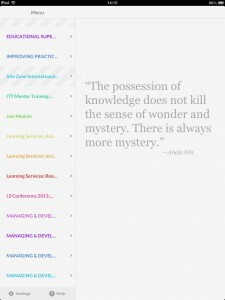 New exciting updates to Mobile Learn! For returning students, you may remember the last update to Blackboard Mobile Learn but the app has just had another exciting update which should make it easier for you to view content, contribute and interact with your course and peers whilst on-the-go. Blackboard Mobile Learn, the free app available for Apple and Android* now has Dropbox integration support. You can now link your Dropbox account to Blackboard Mobile Learn. 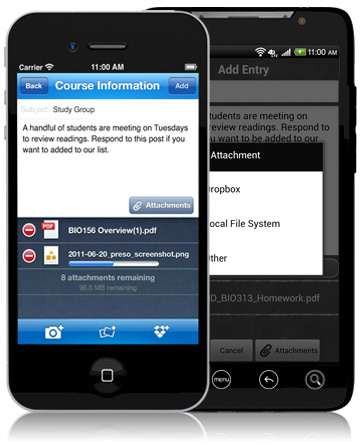 Students and instructors can easily manage documents from their mobile devices, without ever leaving the Blackboard Mobile Learn app. Not only can students and instructors save their course content to their personal Dropbox, but they can also upload documents to discussions and blogs with a single click. Push notifications have just got even better too! Students can now choose to receive automatic notifications delivered straight to their mobile devices to help stay informed. Students can receive notifications for new announcements, new graded items, a test being posted, and many other course activities. On Android devices you can even choose to enable the Mobile Learn Dashboard to keep you up-to-date and any new notifications will pop up in the information bar at the top of your device on both Android and iOS. A few bugs have also been fixed including expanding the discussion forum posts to view the full discussion on an iOS device and hot spot images in Mobile Friendly Tests. 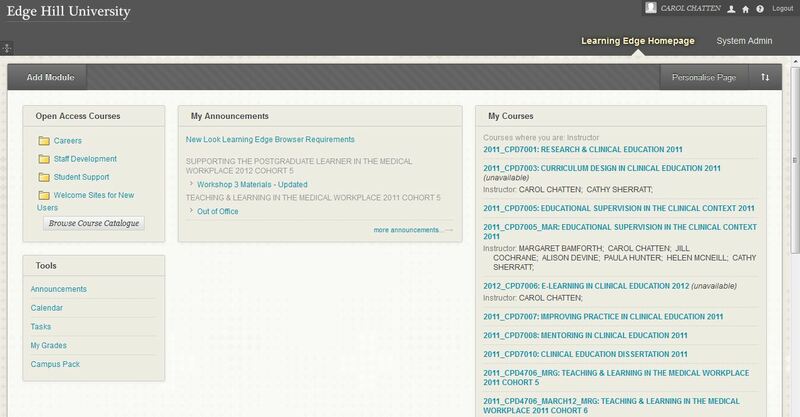 As many of you will have noticed if you are a regular user of Learning Edge (Blackboard), the updated, improved look version has finally been released. The new version makes use of new web design styles and technologies and so is only compatible with newer web browsers. …and then wondered why have my tabs at the top gone!? …ah! There’s the tabs – on the top right hand side! For those still using Windows XP PCs (not updated to Windows 7 yet) we advise that you use either Firefox or Chrome instead of the installed Internet Explorer 7. When your PC gets updated, you will have Internet Explorer 8 which works really well with the new update. The best way to tell if you are still on a Windows XP PC is the bar in the bottom left hand side. If you can see ‘Start‘ then you are most probably using Windows XP and so may experience the unusual look if using Internet Explorer.